The name of Three Leafs, derived from the method of tea picking of one-tip with three-leaf. Selecting only the buds and sprouts from the top leaves, this strict selection represents the insistence on tea quality. Starting from the Taiwanese oolong tea, focusing on orthodox method of tea brewing rather than established impression of regional classification, Three Leafs guides the comers to re-explore all types of handpicked teas grew in this island. 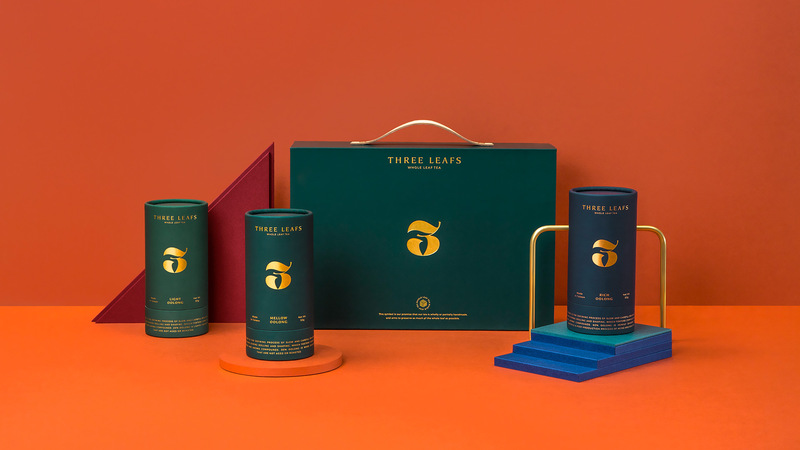 In addition to cultivating good tea, Three Leafs aims to return some of the profits from sales to tea farmers, bringing more professional and value affirmation to them, and re-positioning them in a role as a tea craftsman. The tea craftsmen are the leaders of the taste and the inheritor of the tea. Following the traditional and complicated method of tea making, they give each tea the most unique flavor according to different trees and lands. 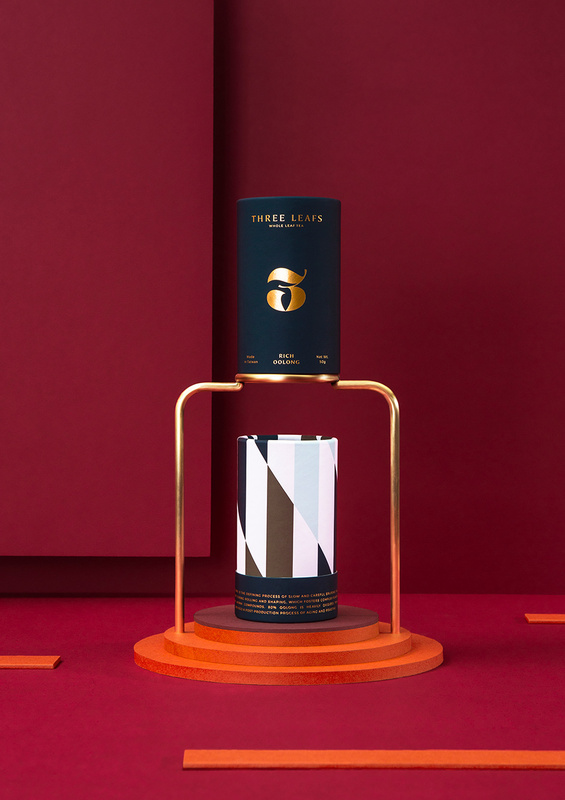 Through the brand construction and promotion, Three Leafs established a bridge between the world and Taiwanese oolong tea. 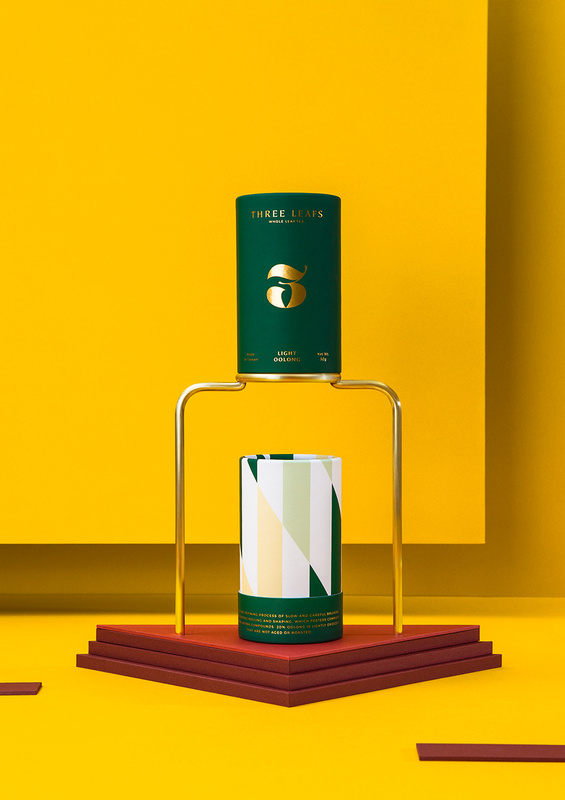 Aims to introduce the greatest Taiwanese tea to the world, the international digital symbol is chosen as the main identity of Three Leafs, clearly conveying the message about one-tip with three-leaf. The shape of the blade is framed into a "3" symbol with three leafs and number "3" combining together, to deepen the viewer's first impression of brand recognition. The full and rounded outline depicts the spirit of Three Leafs, interpreting the excellent quality of the whole leaf, and the extended leaf branches represent their intention to preserve as much of the whole leaf as possible. Responding to the fiber elasticity of the angle of branches, the serif font Mariposa Sans Std is used as the standard font. The color systems are harmonized with two different value of green, and the future products will follow these color systems for applications: the dark-green color system is applied to the scenes of formal gift box, and the light-green system appears in the general product packaging. 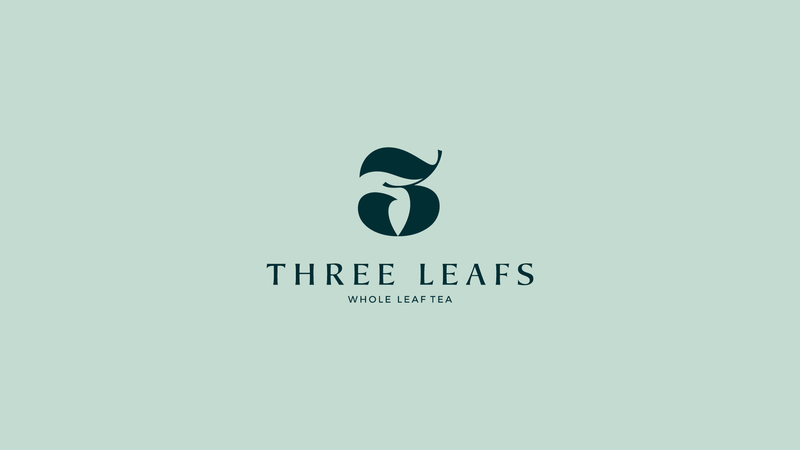 The unique personalities of Three Leafs are exquisite, elegant, and humble, which conduct the brand to process and extend its core idea. 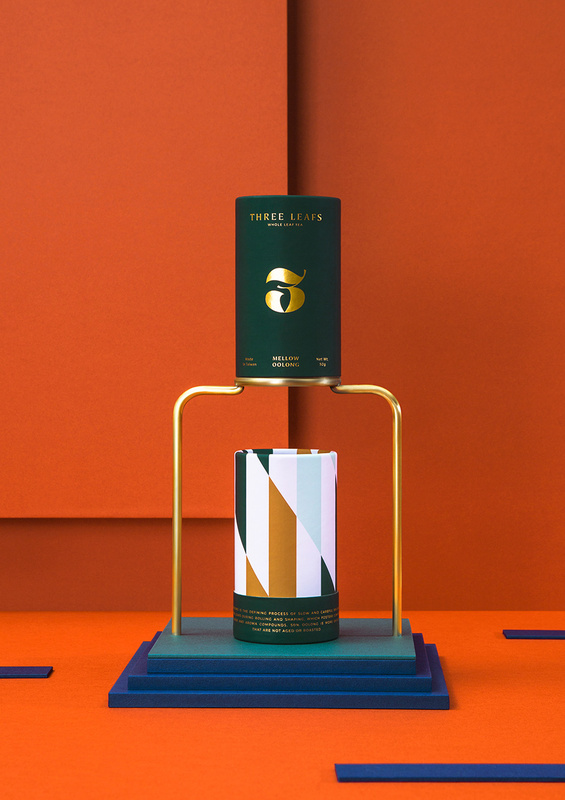 Start from heart and mind, Three Leafs concentrates the most intoxicating fragrance of Taiwan's Oolong tea in each different tea boxes, spreading them to the distant land.